Apple hires Amazon Fire TV boss to head up Apple TV division | What Hi-Fi? Timothy Twerdahl has jumped ship from Amazon to lead Apple's TV division, in a move that should free up other staff to focus on content deals. Apple has poached the head of Amazon Fire TV to head up its Apple TV division. Bloomberg reports that Timothy Twerdahl joined Apple earlier this month as vice president in charge of product marketing. His hiring shows that despite the fact Apple hasn't refreshed the hardware since 2015, the firm is keen to assign resources to Apple TV. His hiring will also enable his predecessor - Pete Distad - to focus on securing TV content deals. It's thought the failure to secure such deals is the reason Apple's long-rumoured TV streaming service is yet to launch. Twerdahl brings a wealth of experience: he served as the general manager and director of Amazon Fire TV from 2013, and before that worked at Netflix. Apple is known to be investing in original TV content, though in the short term it has its sights set on differentiating itself from music streaming service Spotify rather than becoming a true TV and film content rival to Netflix. Still, it has original content projects in the pipeline, include a documentary about Cash Money Records called Before Anythang and a reality TV show that follows app developers. 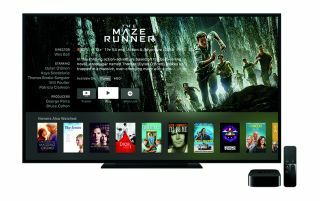 A recent software update in the US gave Apple TV the Single sign-on ability, allowing viewers to watch shows from other apps from within the Apple TV app.